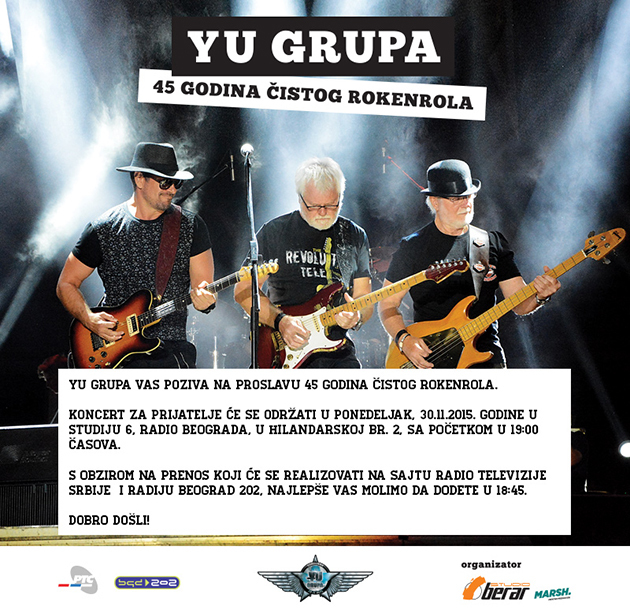 Celebrating 45 years of the band, YU Grupa held a celebrative mini concert at Studio 6 at Radio Belgrade. The selected audience had the opportunity to enjoy a one-hour performance representing the opus of their career. Also on this occasion Yu Grupa presented the two songs that should appear on their new album. This concert is an introduction to the concert which will take place on December 17th at New Belgrade Sports Hall.